Party Poker has announced details of a new World Cup Click Card Championship promotion taking place between 14th June and 15th July. Every player who opts into the promotion is guaranteed to win a prize ranging from a freeroll entry to a $5,300 seat in December´s MILLIONS Online event. 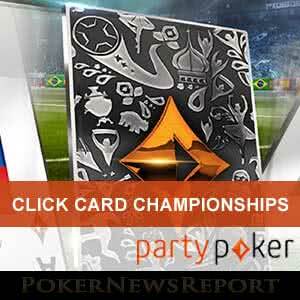 Party Poker´s Click Card Championship is a World Cup-themed promotion in which players opting into the promotion will be required to click on a click card. The click card will randomly assign each player into one of thirty-two poker “teams” – the poker “teams” representing the thirty-two nations competing in Russia next month. Once assigned a poker team, players earn points for their team by playing online poker, betting on sports, or placing wagers in the Party Poker Casino. The team´s points accumulate on a leaderboard; and, at the end of the promotion on World Cup Final day, players are awarded prizes according to their team´s position on the leaderboard and the fortunes of the corresponding soccer team. 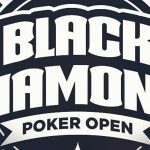 The top prize – a $5,300 seat into December´s MILLIONS Online event – will be awarded to the individual player who collects the most points during the promotion. The value of the freeroll prizes will depend on each poker team´s leaderboard position, while each player in the winning poker team will receive a $50 cash bonus. Each player representing the World Cup winning team will win a $10 Sit & Go package. You can earn up to 25 leaderboard points each day towards your team´s progress by playing cash games and games of fastforward poker. Your team receive 5 points for every three games of Jackpot Sit & Go you play, plus a further 20 points for winning three games. Party Poker will award your team 3 points for every MTT you play, 15 points for each Final Table you reach, and 50 points for each tournament you win. Your team also get 5 points for every soccer bet you place (including in-play bets), provided the minimum stake is $5.00 or more and the odds of winning are Evens or higher. Finally, each $1.00 wager you have at the Party Poker Casino will benefit your team by 1 point (up to a maximum of 10 points per day). Party Poker has not yet indicated whether you have to play at a specific stake level in order to qualify for points in cash games, games of fastforward poker or MTTs. It is also not known if limits will be applied to the number of points you can earn playing Jackpot Sit & Go games and tournaments, or by placing sports bets. We imagine the terms and conditions regarding these areas will be announced soon. What we do know is you can opt into the promotion from Friday June 1st. 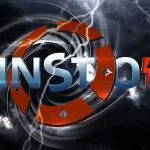 Points will not be awarded until the first match kicks off on Thursday June 14th and; if you opt in later than June 14th, only the points you have earned from the time you opted in will count towards your poker team´s leaderboard position and your individual ranking for the $5,300 top prize. Will You be a Champion in the World Cup Click Card Championship? As usual, the World Cup Click Card Championship is open to any player who has made a real money deposit at Party Poker. 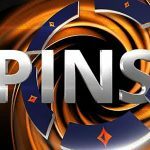 If you haven´t already made your first deposit, fund your account using the Party Poker bonus code “PNREPORT” and you will be eligible for a 100% bonus on your first deposit up to $500, €325 or £250 depending on which currency you fund your account with. 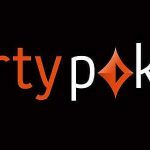 If you would like to know more about the site before registering an account, visit our Party Poker review which provides further information about the welcoming and potentially lucrative experience you can expect.